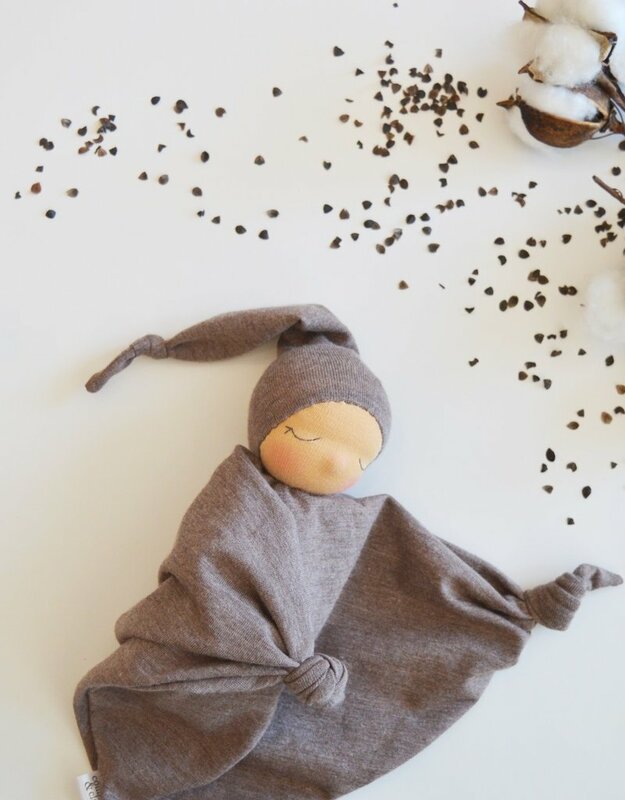 Handmade with organic bamboo jersey and pure sheep's wool, this butter-soft doll is the perfect lovey for small hands just learning how to grasp and touch. A knotted hat and knotted hands are safe for chewing. 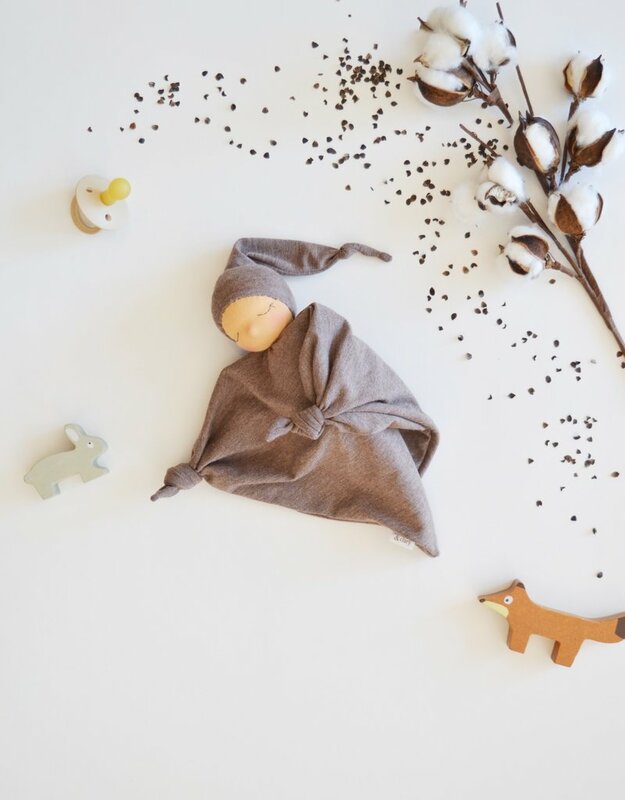 A sweet, sleepy face will hopefully provide inspiration for your not-so-sleepy little one! 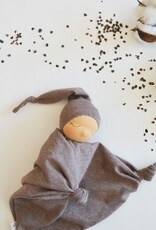 These loveys make a charming shower or newborn gift, and a lovely first birthday present, too. Loveys are approximately 15" across and 11" from head to "toe". Head circumference approximately 7". 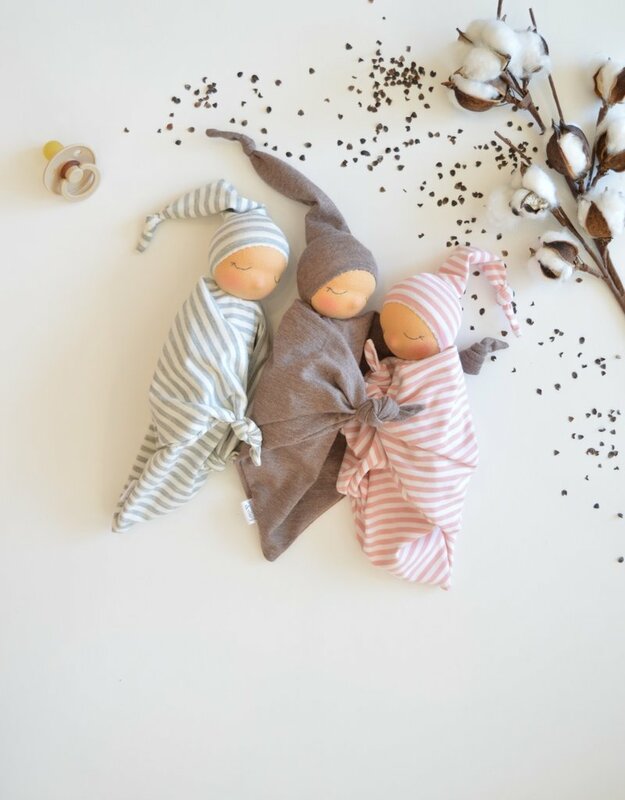 Since these dolls are handmade, there may be some slight variation from doll to doll. 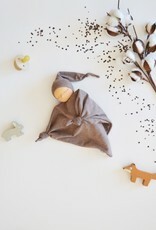 The colour of this doll is chocolate brown. Colour display may vary from monitor to monitor! Crafted with GOTS and OEKO-TEX certified bamboo cotton jersey, and stuffed with 100% pure and clean Canadian sheep's wool. All sewn parts are triply reinforced for added durability.